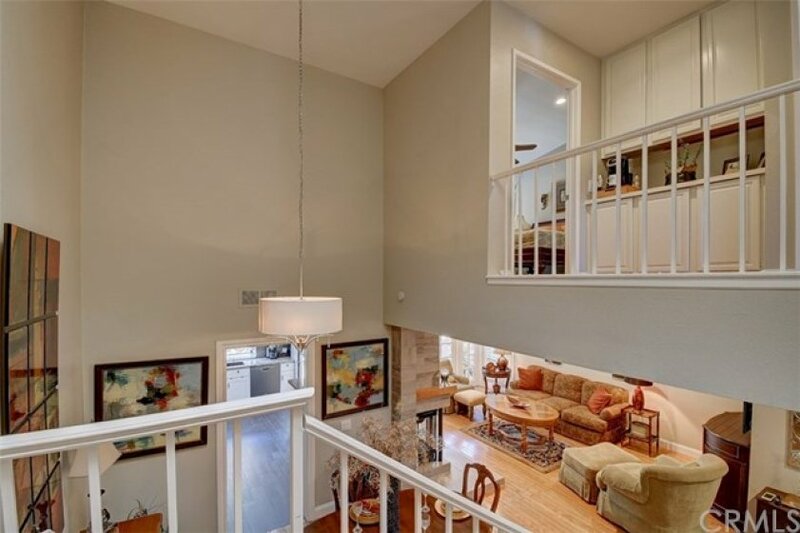 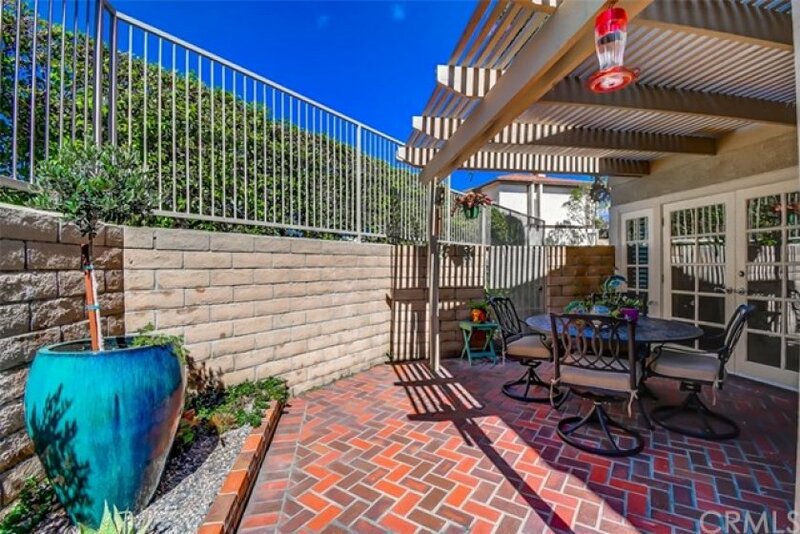 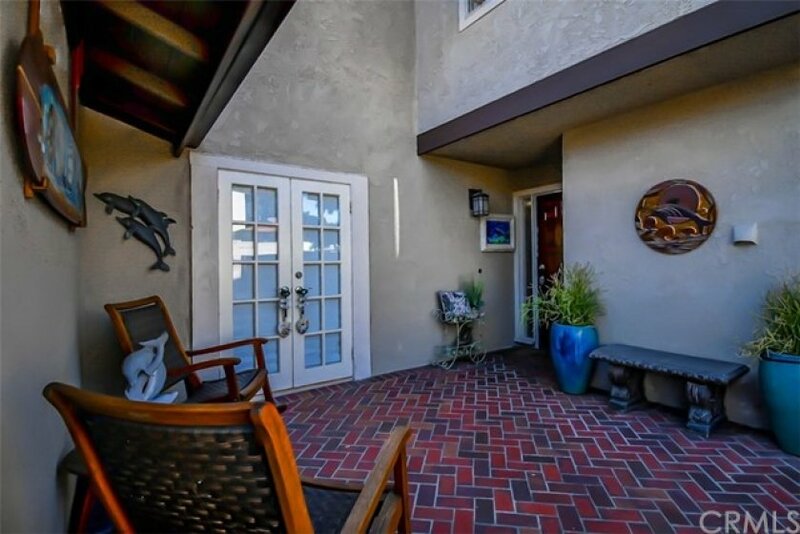 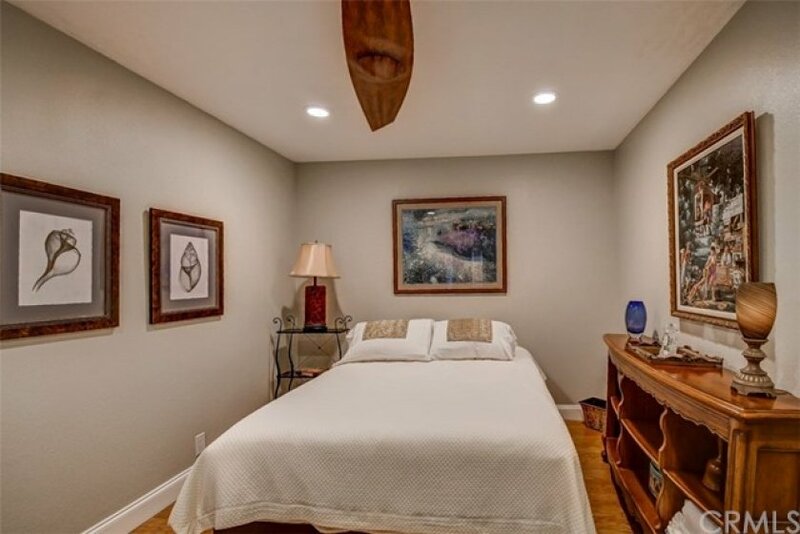 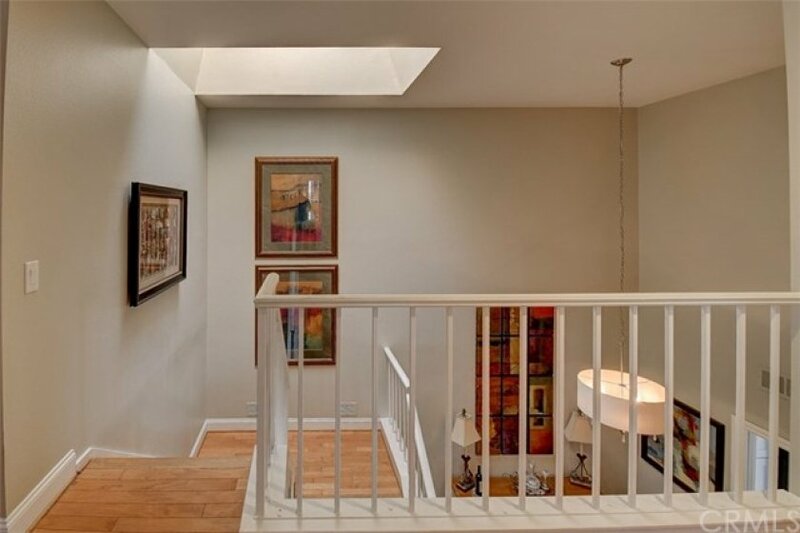 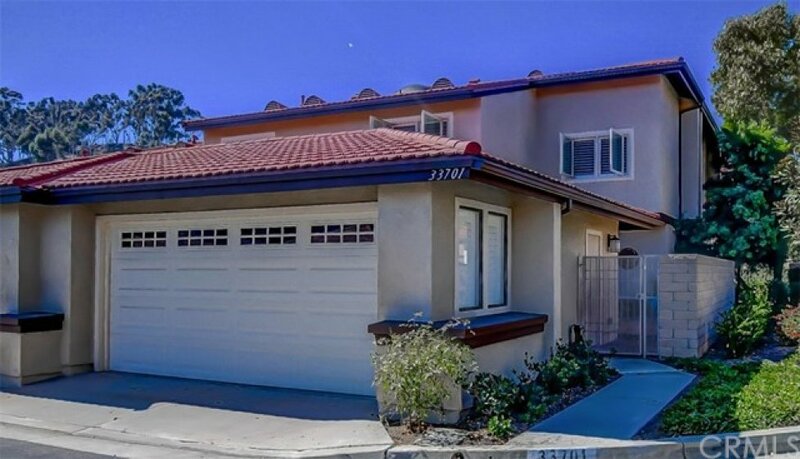 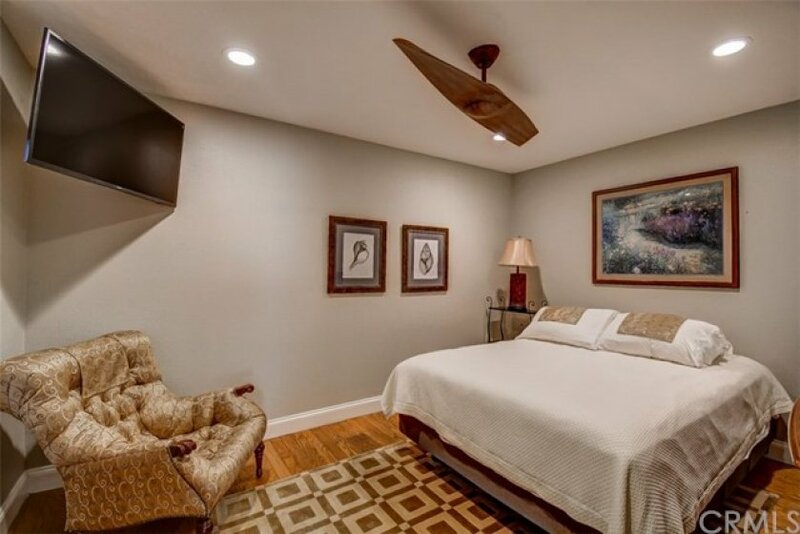 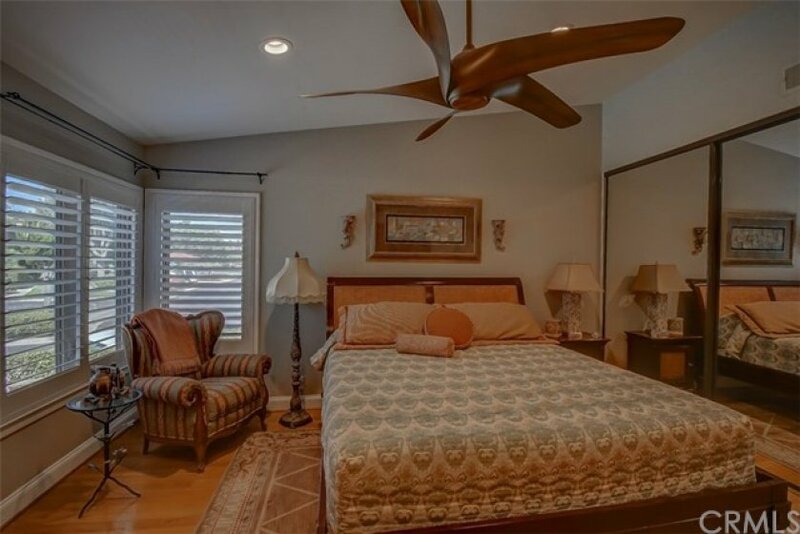 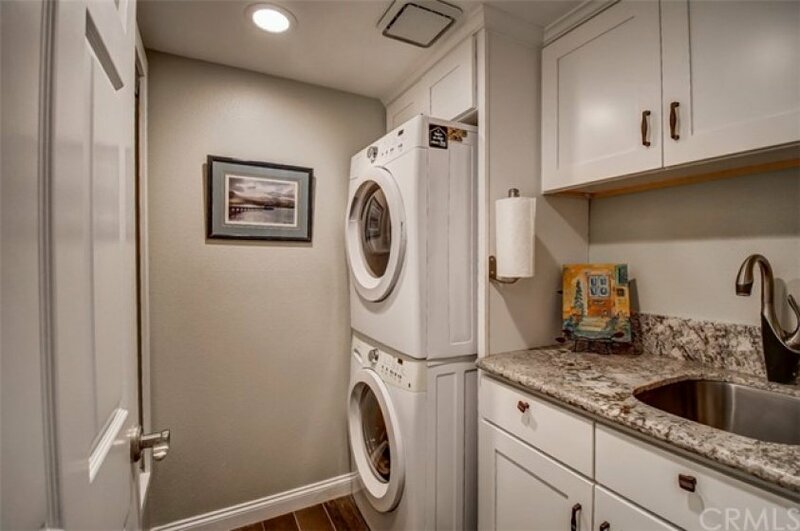 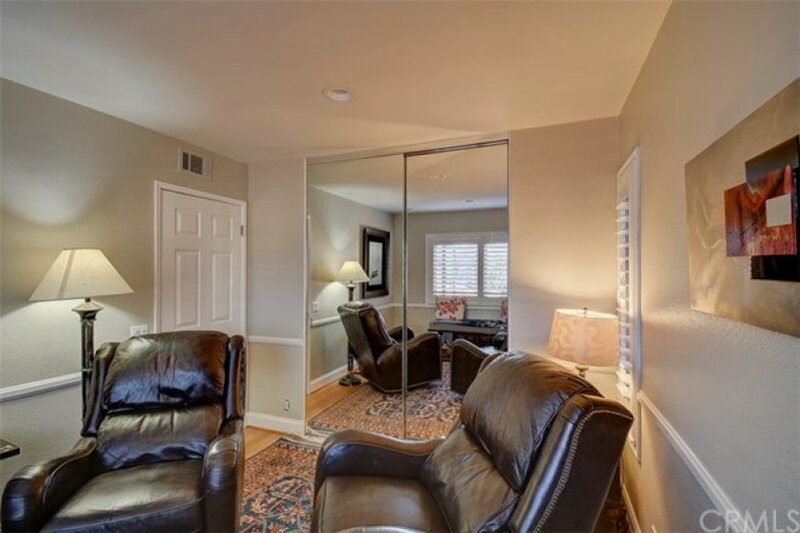 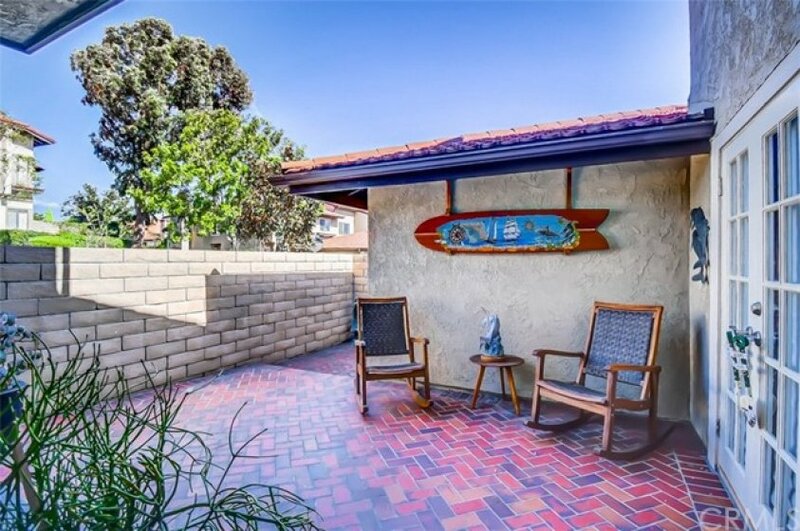 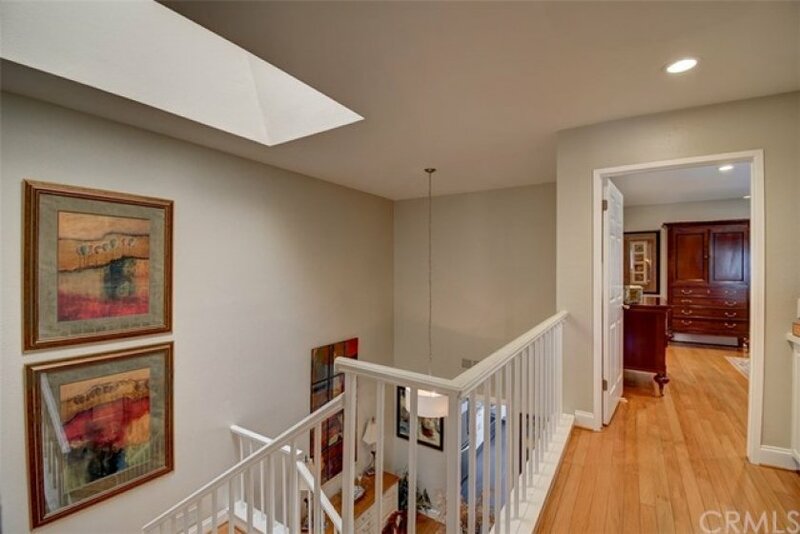 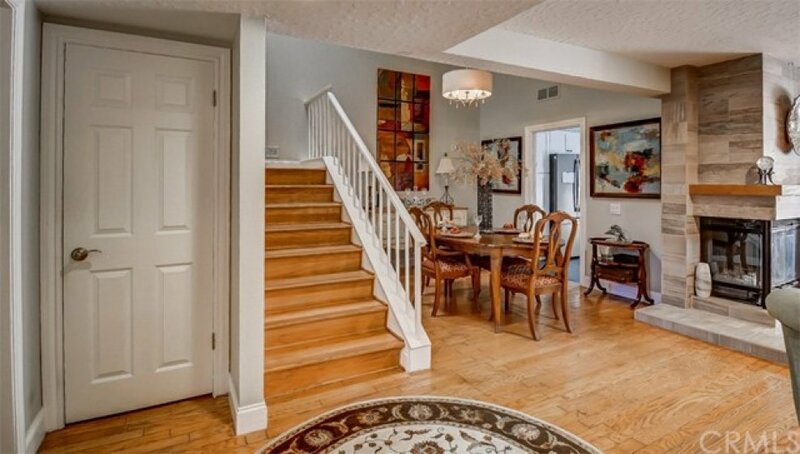 Beautifully remodeled condo and largest floorplan in this beach walk-able complex. 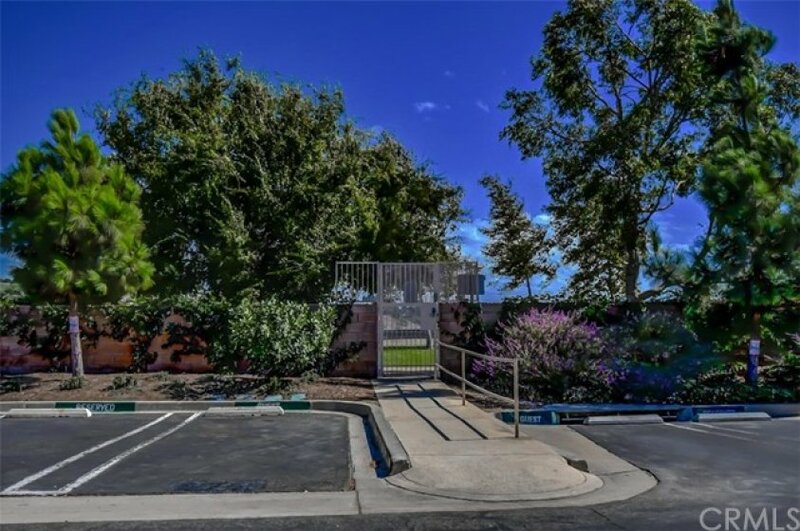 End unit condo has hardwood floors throughout, a downstairs guest bedroom/office with French doors leading out to the front courtyard. 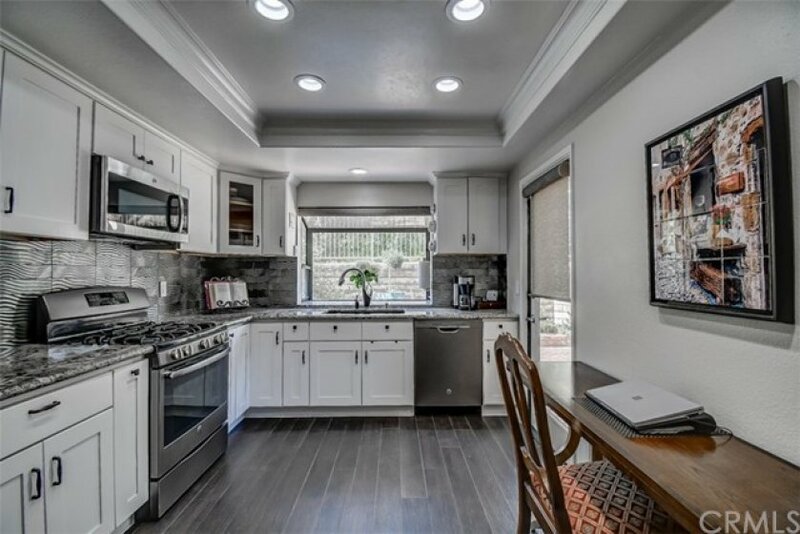 Showcasing a stunning kitchen in black, white and grey with granite counters, porcelain tile flooring and custom glass tile backsplash. 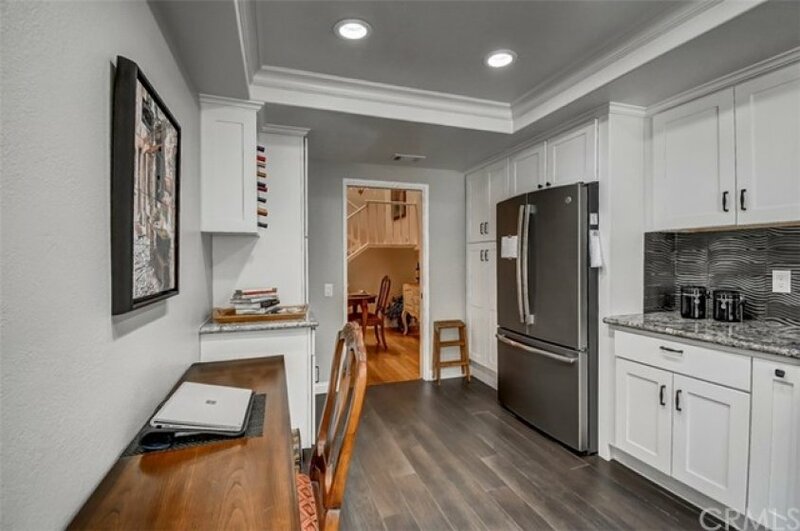 Kitchen cabinets include slide-out inserts and a lazy susan for corner cabinets. 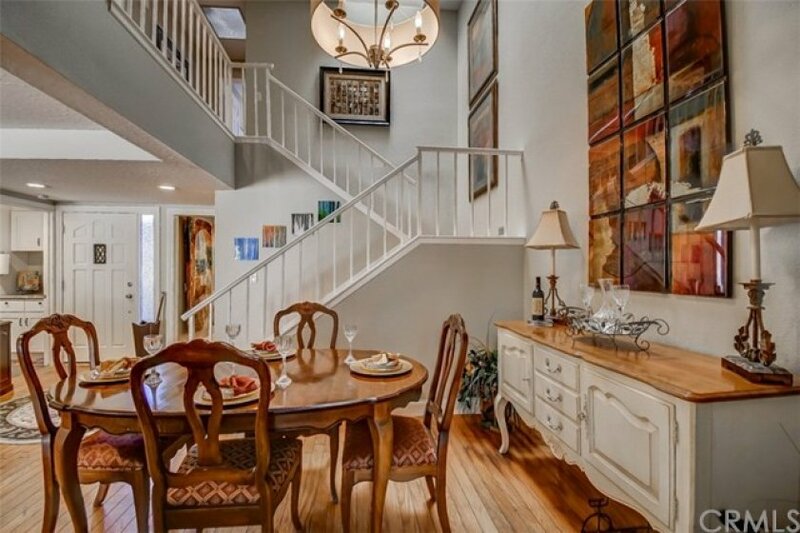 There is a spacious dining area with room for a table for 8 and a skylight to allow more sun in. 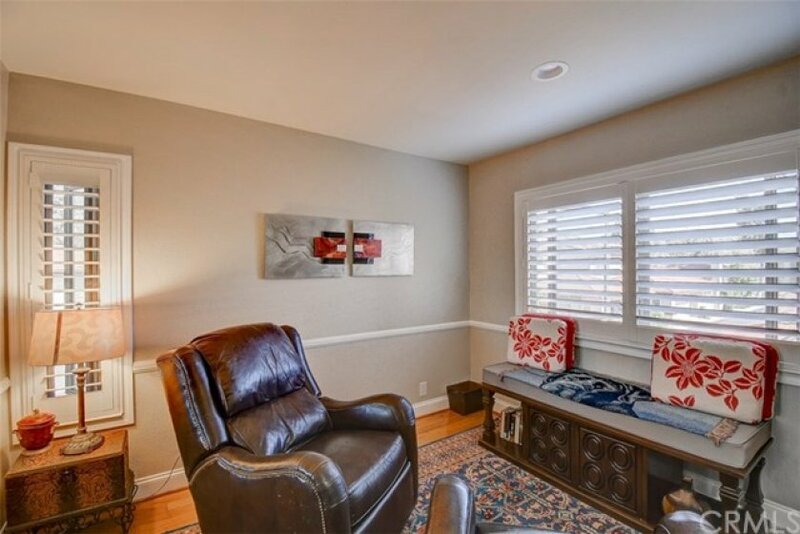 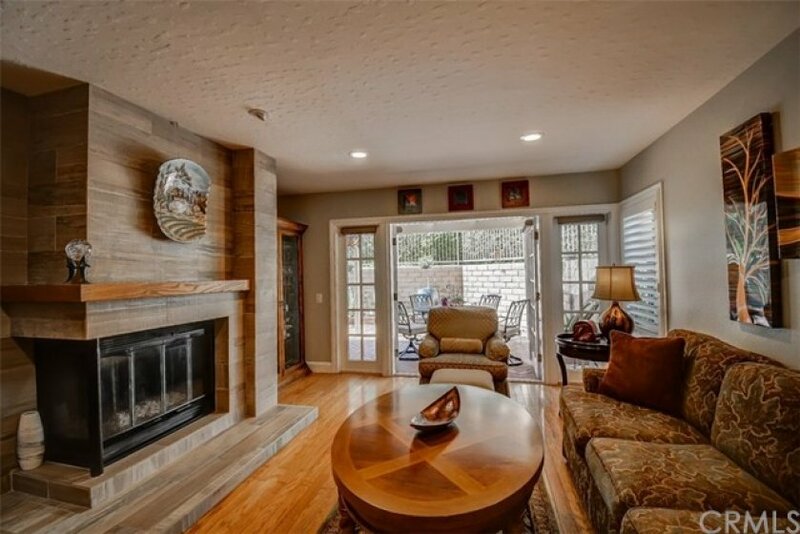 Living room contains a gorgeously tiled fireplace for curling up next to on those chilly Fall nights. 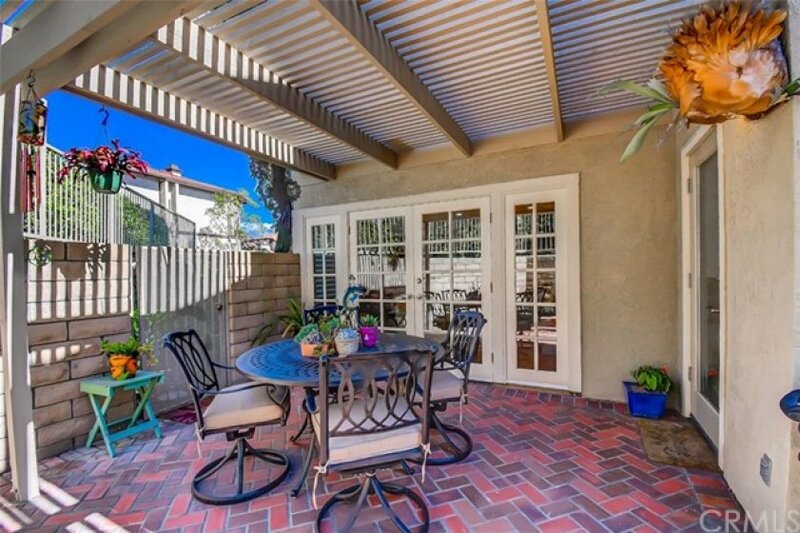 French doors in living room open to a sizeable backyard brick patio and garden. 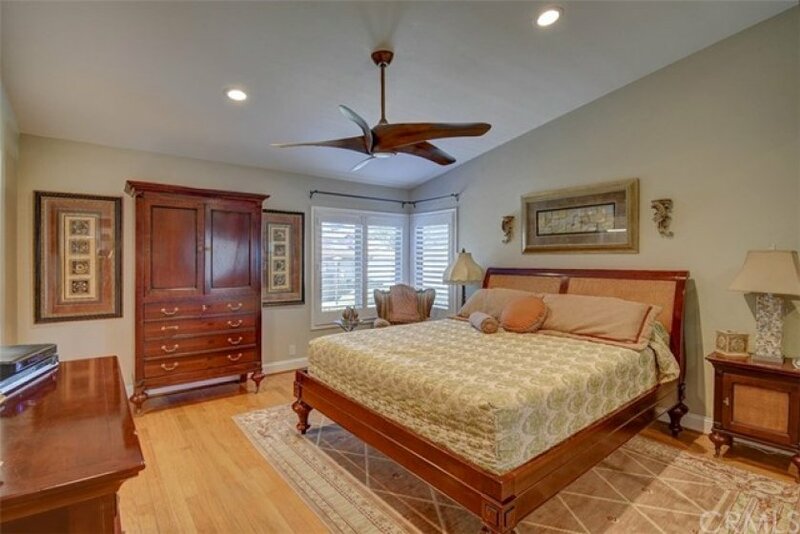 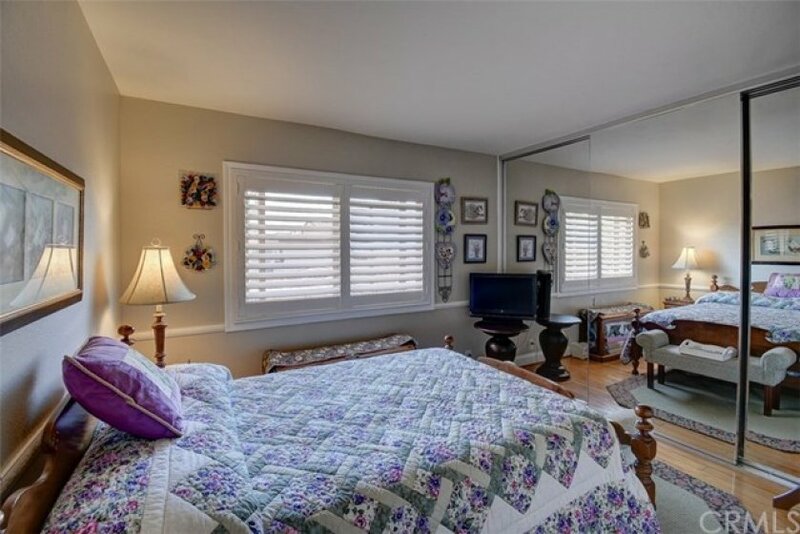 Upstairs you enter into the master suite with plantation shutters. 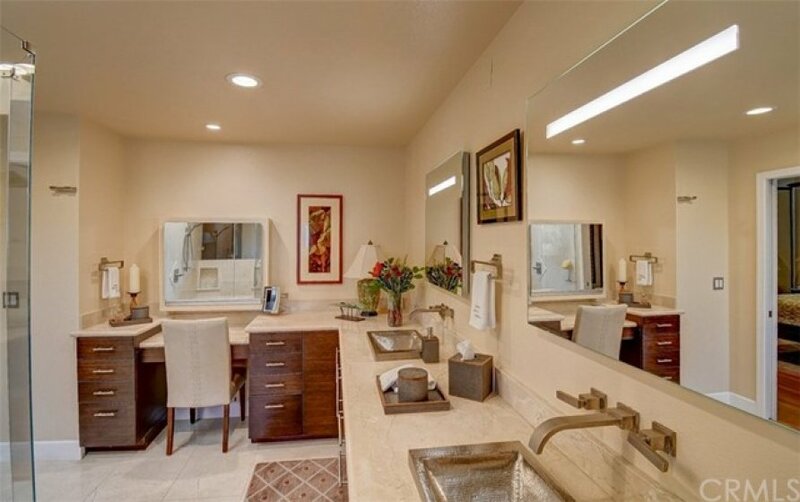 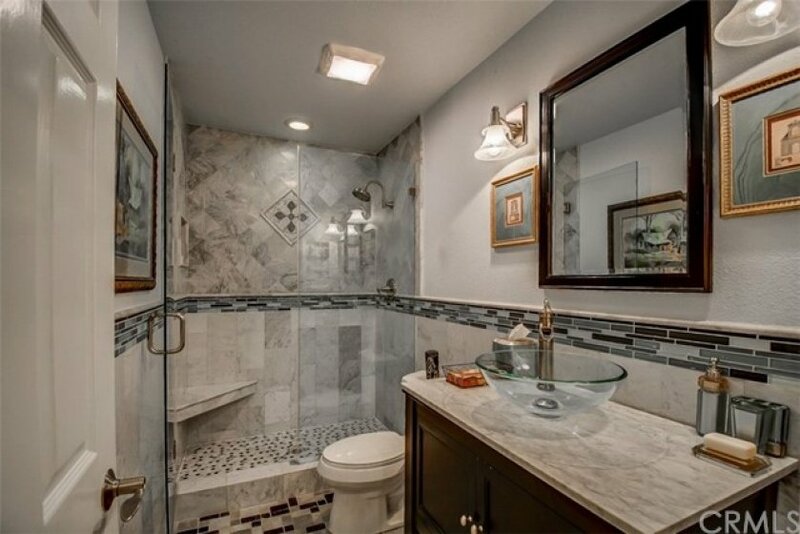 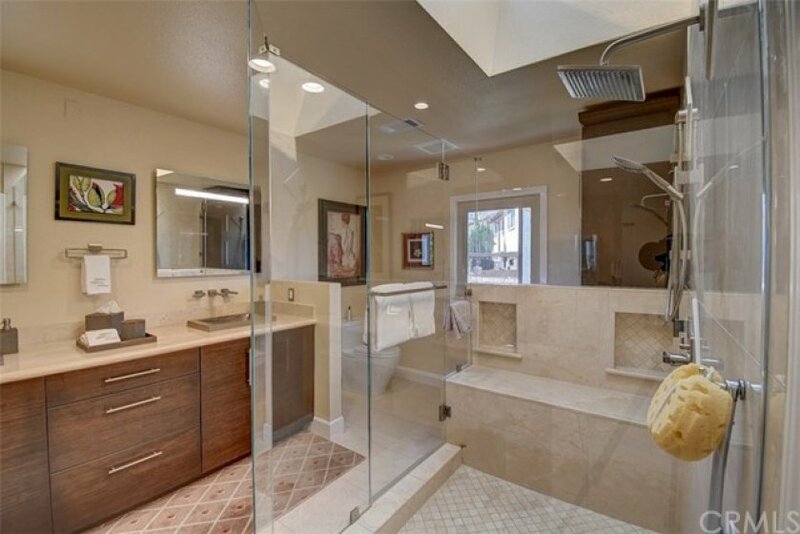 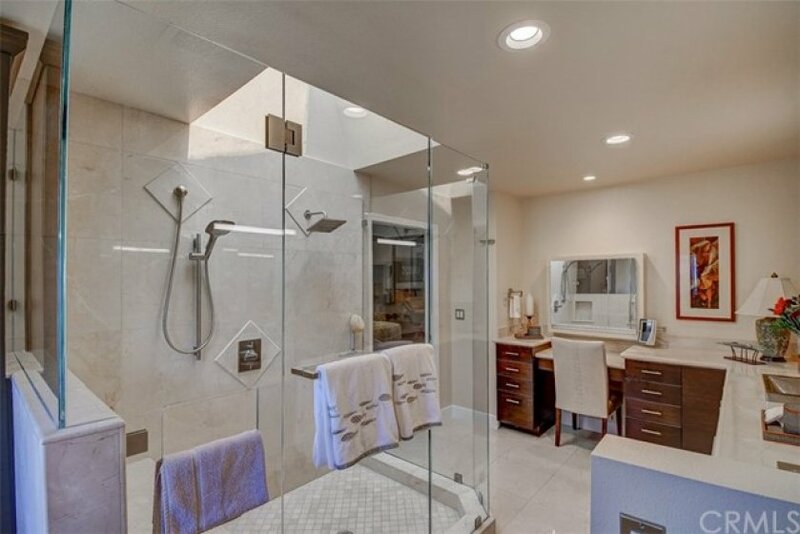 Contemporary master bath has travertine floors, hammered metal sinks, touch light mirrors and an extra large shower with dual shower heads and a skylight above. 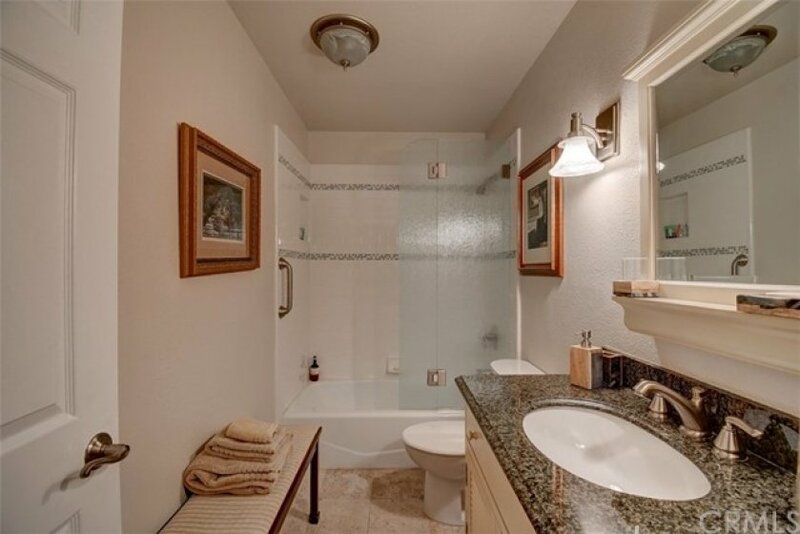 Custom slide down medicine cabinet and lots of storage embellish the vanity area. 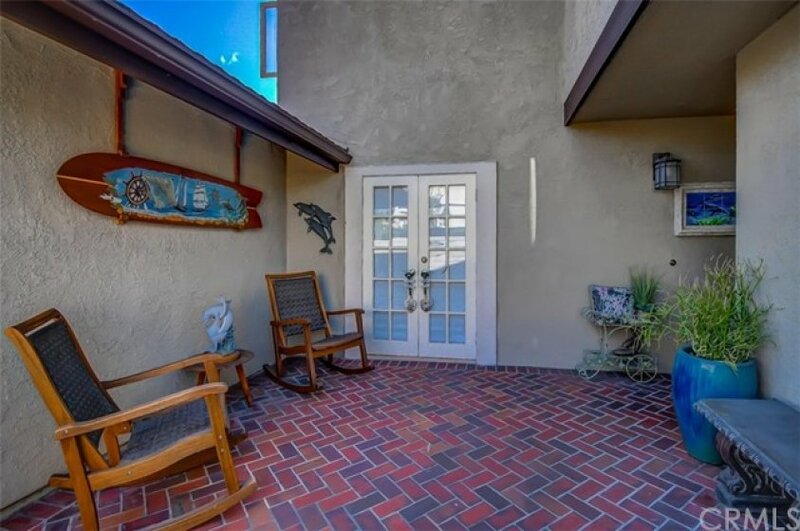 Additional private entrance to back patio. 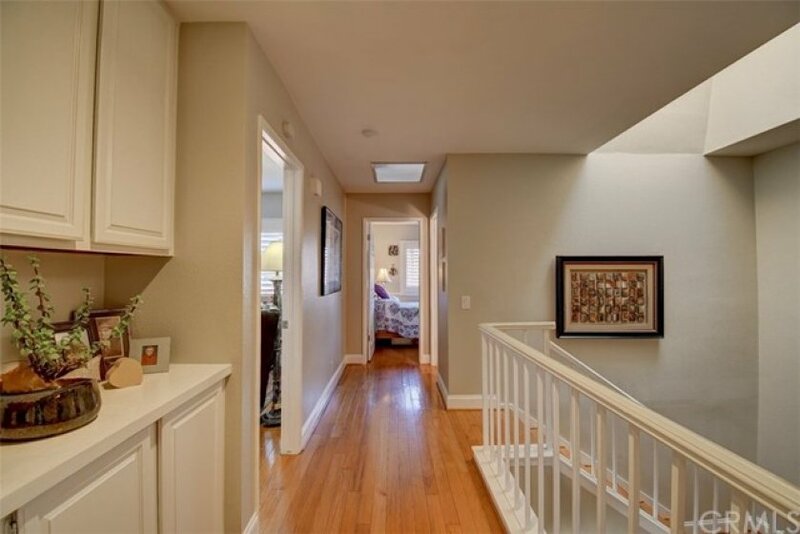 Special hot water recirculating system allows immediate hot water to the condo. 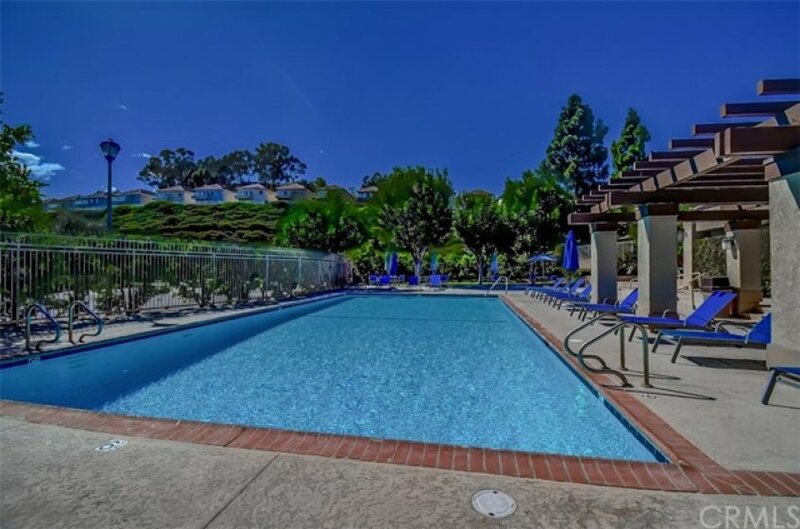 Seaside Villas has 2 pools, one heated year round. 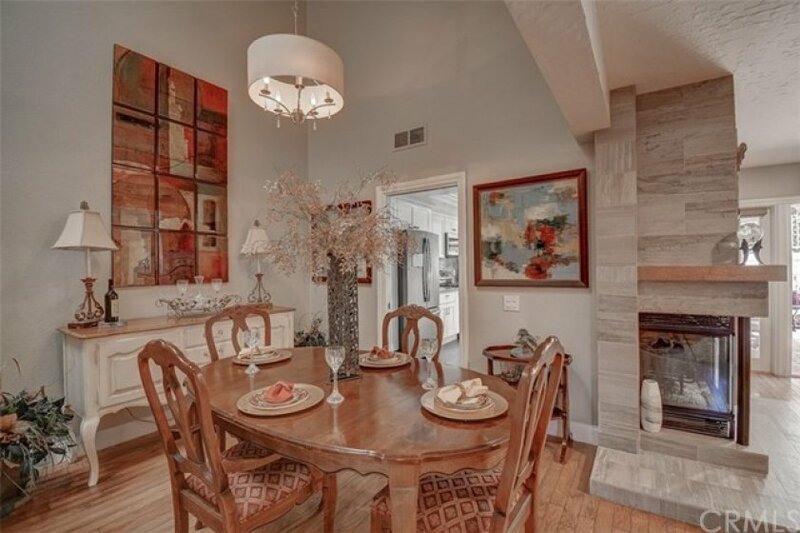 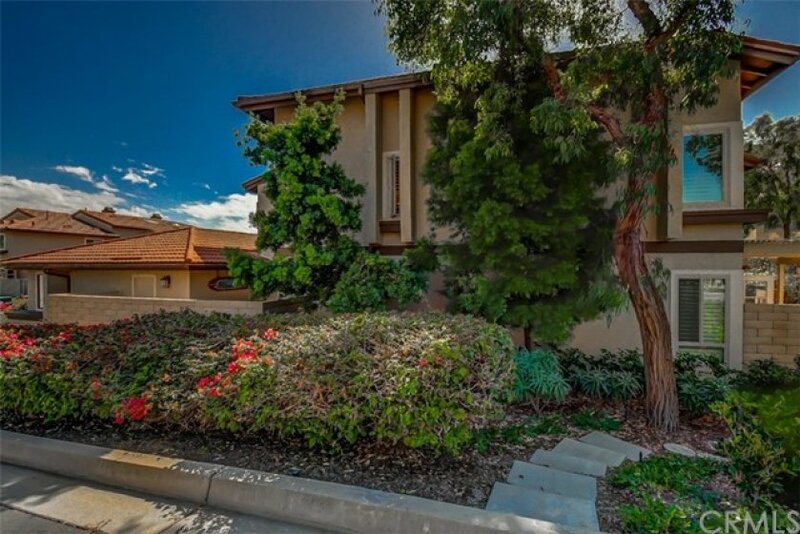 A remodeled clubhouse features a fireplace as well as cooking area outside by the pool. 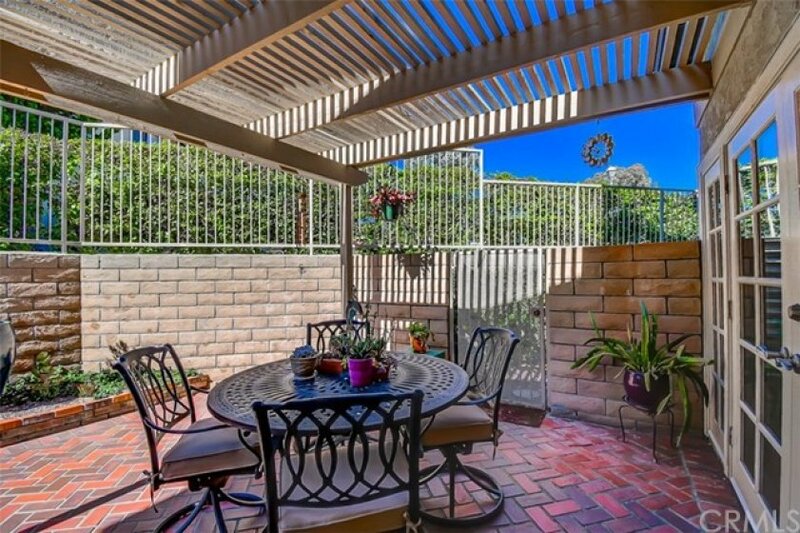 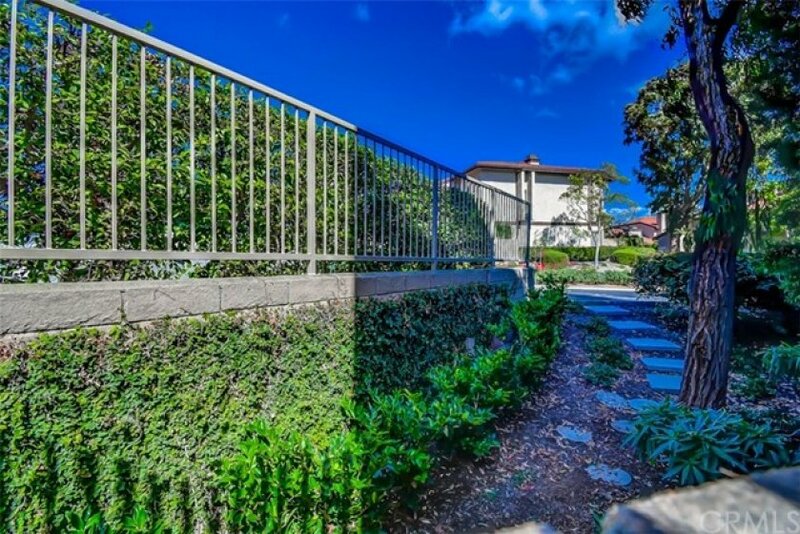 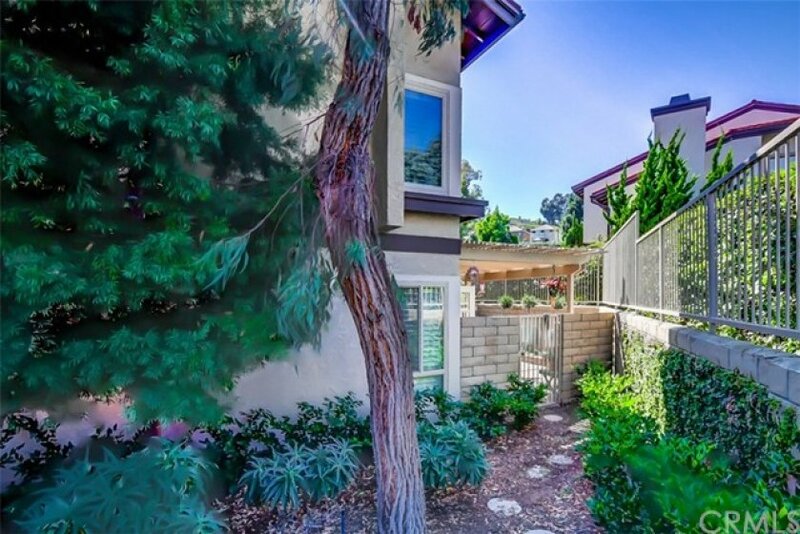 Gated access to the San Juan Creek Trail, only 1 mile walk to the beach and harbor. 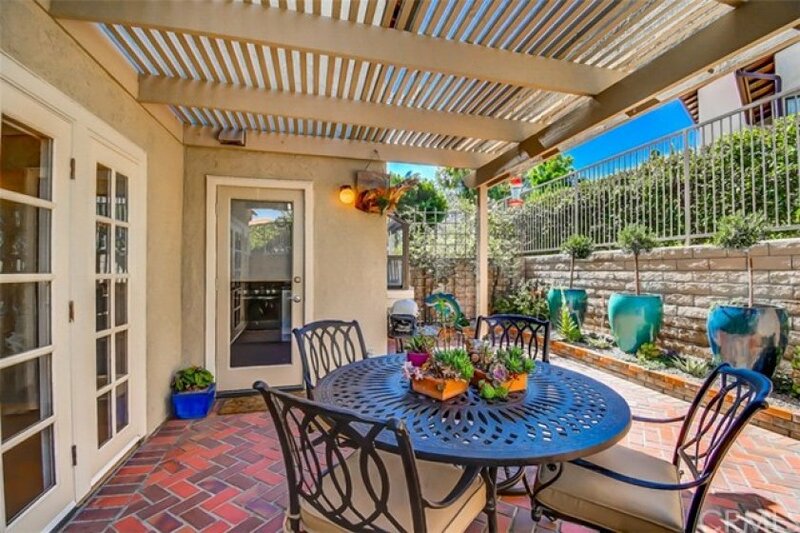 The neighborhood also offers amenities such as a grocery store and several great restaurants within walking distance. 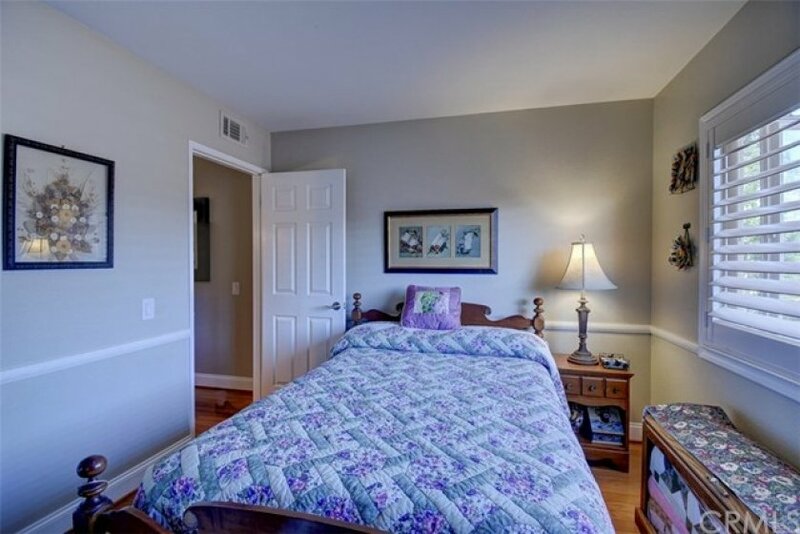 Listing provided courtesy of Meghan Meihaus at Berkshire Hathaway Homeservic.